Polka dots pillow case (embroidery). Renowned for exclusive range of embroidered pillow covers, we serve the clients with the variety in designs, colors and sizes. 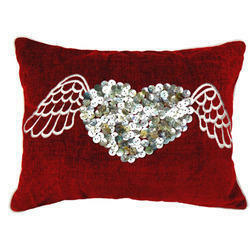 Embellished with fine thread work and sequins, these embroidered pillow covers are widely used for decoration. 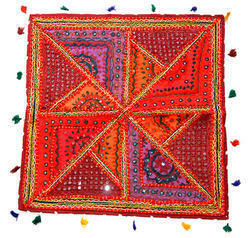 Our embroidered pillow covers have fine finish and soothing colors, and are the exemplary pieces of hand work.